For the ninth year in a row, Sodikart successfully completed its mission to supply Senior Max and DD2 Master equipment at the 2018 Rotax World Finals. The task was not easy for the world’s leading kart manufacturer, who sent over 150 complete karts across the Atlantic. The Sodi chassis, a long-time Rotax partner, was unanimously appreciated by the competitors, who were also convinced by the high-quality service offered by Sodikart’s staff. Six containers, 152 karts, numerous spare parts and about 15 people on the spot! 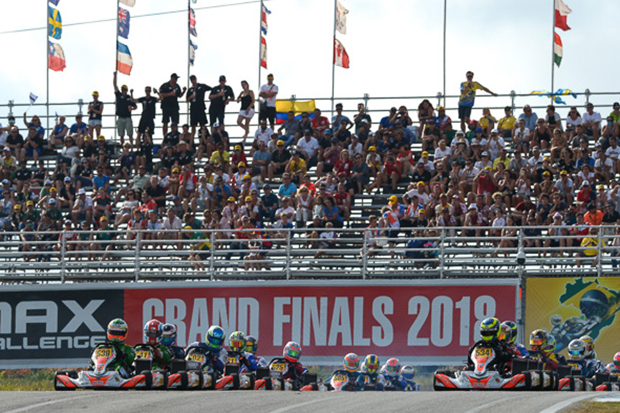 The 2018 Rotax World Finals on Brazil’s far East coast needed much more complex organisation than the previous three years when the event was held in Europe. With its expertise and knowledge, Sodikart has admirably taken up this new challenge. From the production line to the service provided throughout the week of competition, Sodikart met the expectations of Rotax and all competitors in the Senior Max and DD2 Master categories. No detail was neglected when assembling the karts, which were then distributed by lottery. Constantly available to the drivers, the members of the staff knew how to advise and support the competitors, with the assistance of the Sodikart driver Bas Lammers, whose experience was valuable. The technicians at Sodikart also made up for any technical problems that the drivers might encounter during the competition. Throughout the meeting, the gaps remained minimal between the competitors which was very rewarding, both for Sodikart and Rotax. With drivers racing very closely, the races were of great intensity. The 1280-metre track in the Paraiba region contributed to the show in Brazil. In Senior Max, there were numerous twists and the Dutchman Senna Van Walstijn made the difference against the Briton Mark Kimber and the Austrian Mario Novak. Very familiar with the Rotax finals, where he managed to clinch his fifth victory, Christian Morgado was enthusiastic about Sodikart’s Sigma chassis in Rotax DD2 Master. “The special feature of this event was to have only one set of tyres for Qualifying, all the races and the warm-ups. Despite this, the chassis was very efficient and consistent, with very low tyre wear. I managed to lap faster in the Final than in Qualifying, where I took pole position,” said the South African driver, who beat Finland’s Antti Ollikainen and New Zealand’s Fraser Hart.